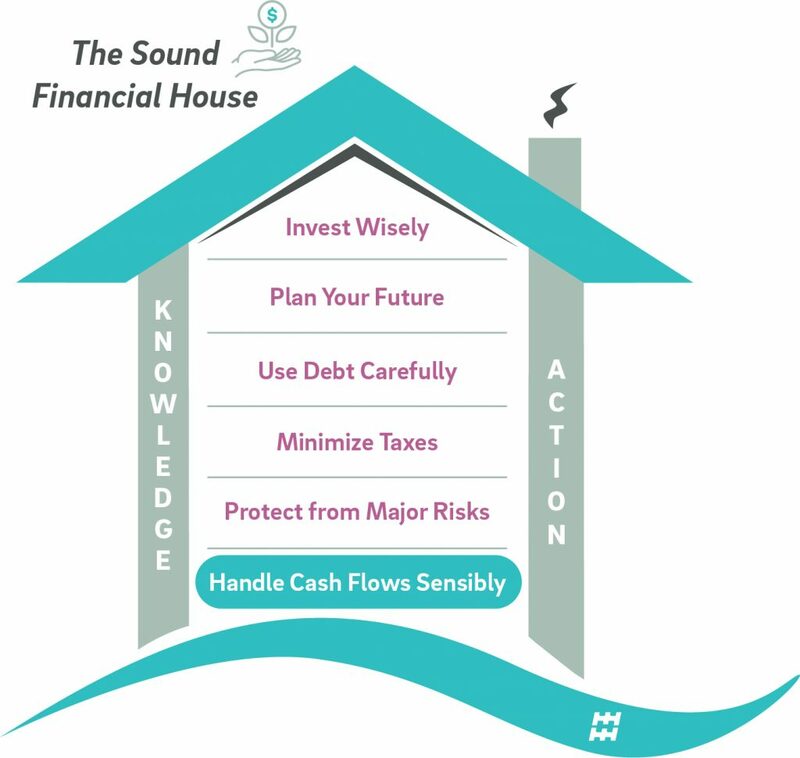 The Sound Financial House is built on a foundation of sensibly handled cash flows. “Sensibly” is a good word because a lot of it is common sense. For example, here is how you get rich: earn more money than you spend. Common sense! Unfortunately, though, it isn’t always easy to do what “common sense” dictates. On the other hand, how do you go broke? You spend more money than you earn. In fact, nothing can bring down your financial house like building it on the sand of overspending and nothing can make it stronger than building on the rock of spending and saving sensibly. This is common sense, but I am amazed how many get this wrong. Here is an extreme example of what can happen when your spending is out of control: Michael Jackson. The “King of Pop” reportedly earned some $750 million in his lifetime. He sold hundreds of millions of records. At his death, “he was almost broke.” He may have had as much as $400 million in debt. Jackson isn’t the only one. Countless celebrities, and a surprising number of billionaires, have lost their fortunes. They all spent more far more than they made – and regretted it. Everybody knows that you should manage your cash flows sensibly. Why don’t they do it?! Because it is not easy. Most people have a bias towards the present. In other words, they tend to focus on what they want in the present more than what they want in the future. Sylvia Bloom provides an example of what can happen when you look at the long-term versus the present. She was a legal secretary in New York City who saved her money and invested in stocks. When she died in 2018, she left $8.2 million to charity. So, what should you do? There are some easy rules of thumb that sometimes work – and sometimes don’t, so you need to be careful. For example, my mom taught me this rule: save 15% of my income every year for retirement. That turned out to be a pretty good strategy – for me. (Email me and I can show you the math.) But, again, these don’t work every time for everybody. Maybe 15% is too much for someone to set aside – or, not enough. It really isn’t that simple. Another rule of thumb – many believe that you can safely spend 4% of your assets per year during retirement. You should be careful with this strategy, though. While it has worked in the past, it may not work over the next 10 – 20 years. Unfortunately, there are no affordable, non-professional programs available to the public yet. For many, then, the best strategy is to hire a caring and capable advisor who uses state of the art software to help you handle your cash flows. Together, the software and your advisor can help you in a way that neither can help you alone. You probably don’t have all the tools and skills necessary to lay and repair your physical home’s foundation. You hire that work out. For many, it makes sense to get help with the foundation of their financial house, too. It is ironic that “handling cash flows sensibly” is the foundation for the Sound Financial House because, while it seems like common sense, it is also quite challenging. Nobody said getting rich and not going broke was going to be easy! Take some time to let this foundation set and email me at MichaelC@hh-wm.com if you agree or disagree. If you like this post, send it to a friend; if you hate it, send it to an enemy!